products at guaranteed low prices, Guitar Center furthers its unparalleled quest to Help People Make Music. Get 3% cash back when customer makes a valid gift card purchase. 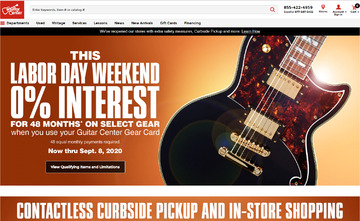 Click a Coupon or click Start Shopping to earn Up to 4% Cash Back at Guitar Center.